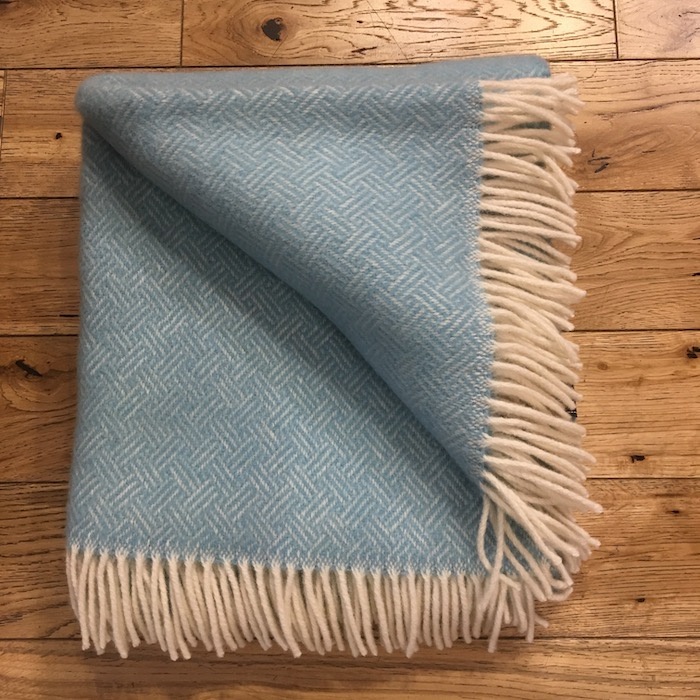 A warm blanket in a duck egg blue shade that's perfect for outdoor picnics, or use as an extra bed blanket or for snuggling under on the settee. Using super-soft 100% wool, these blankets use a chunkier, thicker weave, making them super cosy and warm. Size: approx. 150cm x 180cm, with 8cm fringes at each end.